Hand assembled and stencilled/screened 10 years ago in Andy Votel’s shed this package was culled from various theatre, gallery and studio performances which combine over 20 musicians and draw proud influences from Sun Ra, Magma, Goblin, Martin Denny, Roland Kirk, Faust amongst many others. 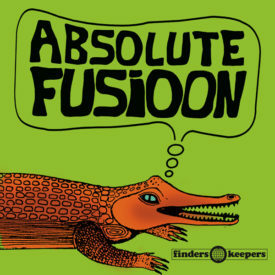 Predominantly made of self-penned Toolshed classics such as the the Turkish psych leanings of I-Rooster or the bizarre Eastern Wok & Goblet this LP also included cover versions of tracks by The Arkhestra, Morricone/Nicolai and Mahavishnu Orchestra. 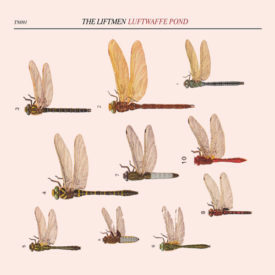 Including cameo appearances from Jah Wobble and members of Gong and Biting Tongues this album is perhaps the kind of album that many of today’s nu-psych post-poggers want to make but lacking over 30 years experience, a heavy phonebook, a museums worth of rare synths and some seriously strong stage rigging probably wont get the chance. Ten years ago records and gigs like this were risky – now they are almost impossible but even more in demand of fresh ears and open minds. This indispensable, comprehensive and slightly irresponsible part of Finders Keepers pre-History deserves a place in your record collection while stocks last.